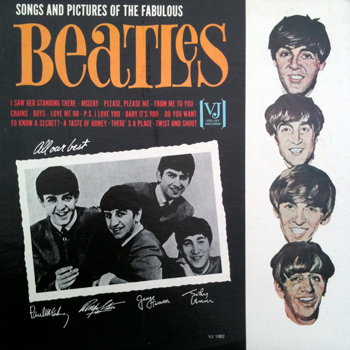 A counterfeit copy of the official Vee Jay release titled Songs Pictures And Stories Of The Fabulous Beatles. Tracks 1-7 on side 1 and 8-13 on side 2. Estimated release date of original release is known to be in late July 1964.